I’m a summer girl to my core, but the temps that come along with my favorite season can be brutal, especially in the south. A summer wardrobe full of breathable textiles is essential. Think linens, cottons, and flowy dresses and skirts, like this one. 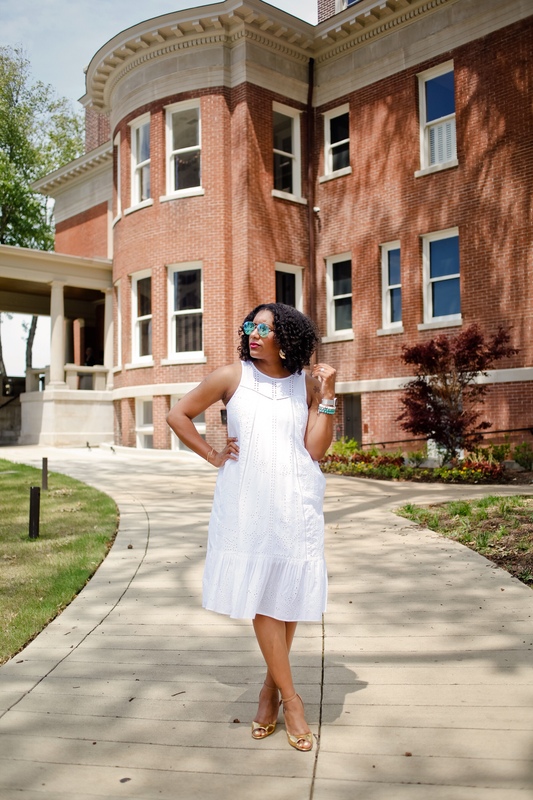 We all love the crispness of white for summer, and eyelet just screams stylish southern belle in July. So when I saw this frock a few years ago, I knew it was the perfect summer dress. And IT HAS POCKETS!!! Can we say sold!? For accessories, I tend to chose metallics over colors when I wear white. It just seems cleaner and less fussy. I chose not to wear the belt that came with the dress and I loved the extra flowy-ness (made up word alert! ), which definitely was super comfortable. 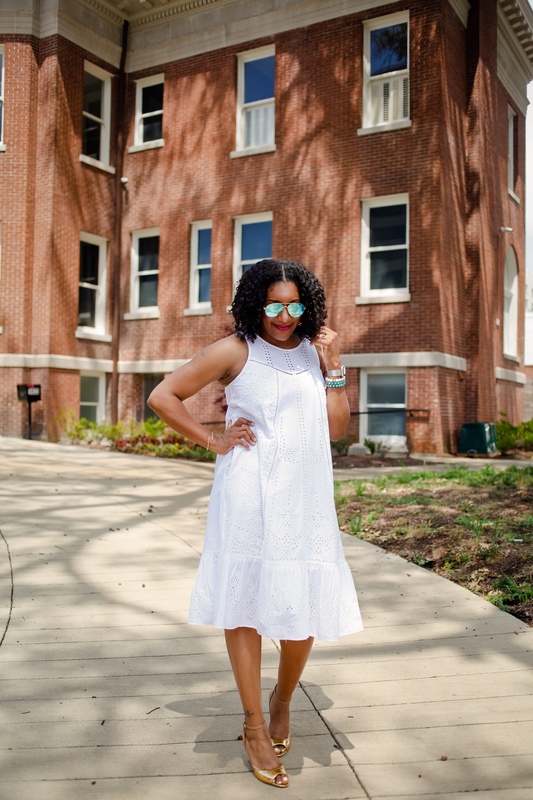 Now, if a southern belle mama has her white eyelet dress on, you can bet her mini is not too far behind in an equally fabulous eyelet dress! Such was the case when we had a twinning moment while attending a Sunday baby shower. 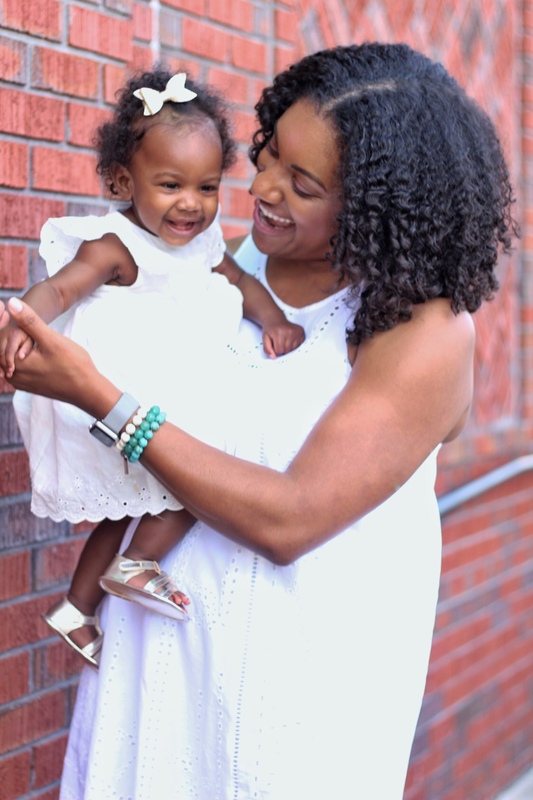 Introducing…my ladybug, my mini southern belle. 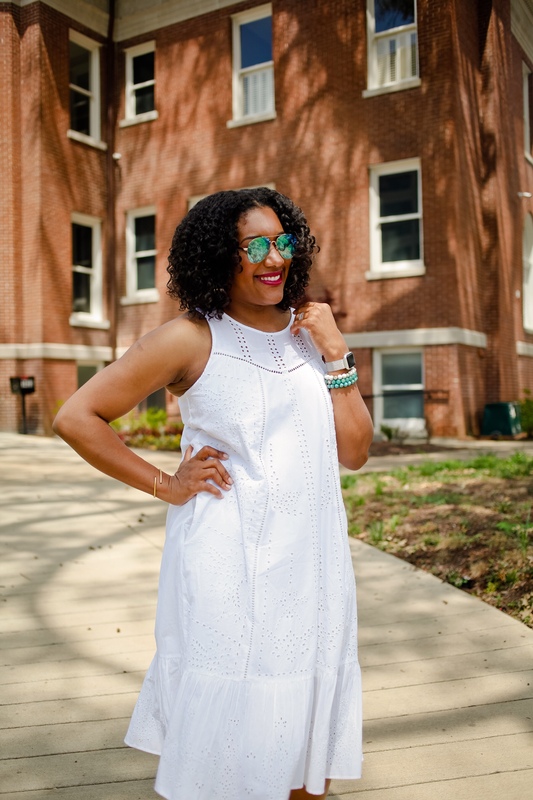 According to Q, keep a white eyelet dress ready to go this summer. Go with metallic accessories for a chic, stream lined look. It’s the epitome of easy and breezy, and you’ll definitely give off fabulous southern belle vibes. 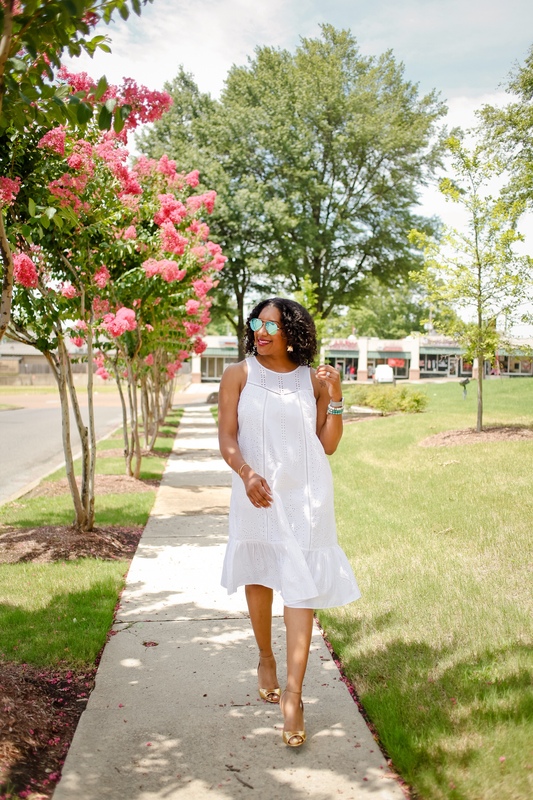 Cheers to summer whites and southern belles! Hi. I am Ada, so glad I found your blog. 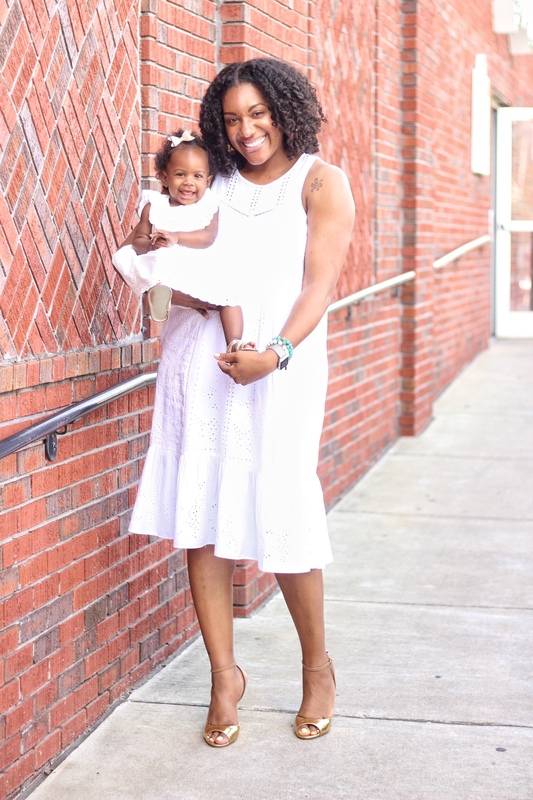 I love a great mommy+me blogger. You both shine in your pretty white dresses! Thanks for stopping by! I will most definitely take a look! 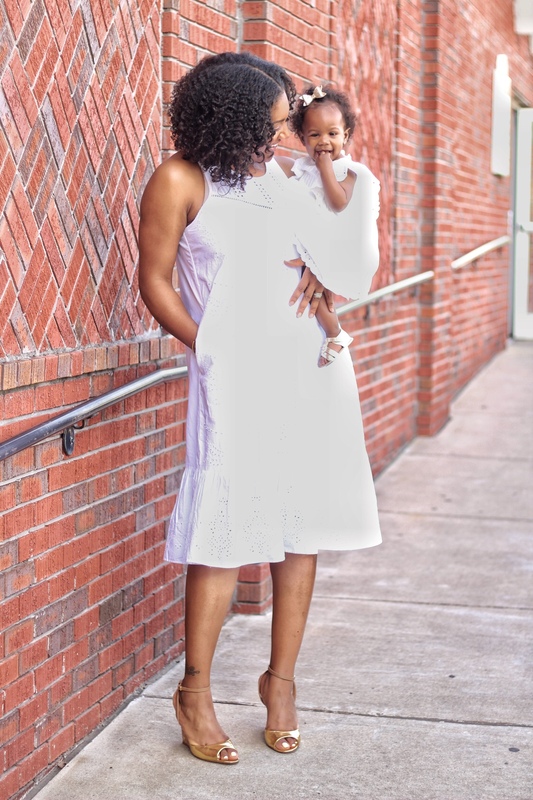 I enjoyed this mommy & me look and I plan on doing others. 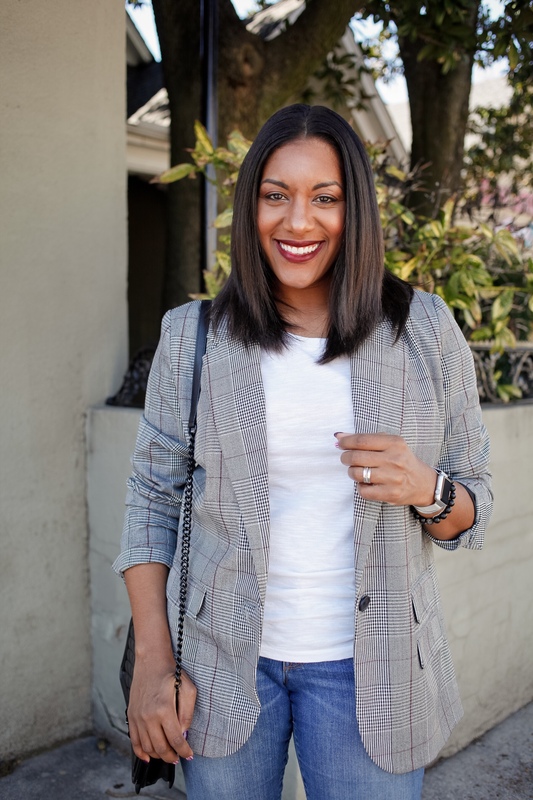 Breezy, comfy, and chic! Perfect summer dress indeed, and it looks amazing on you dear!